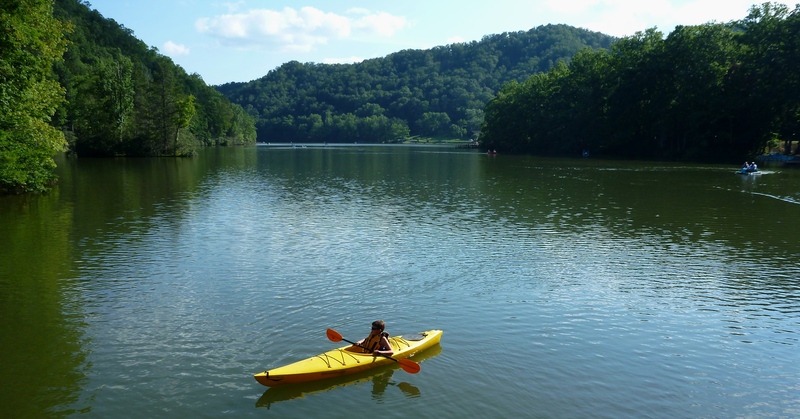 The Footsloggers outdoor store in Boone, NC has a 40′ tall, 4000 square foot climbing tower. 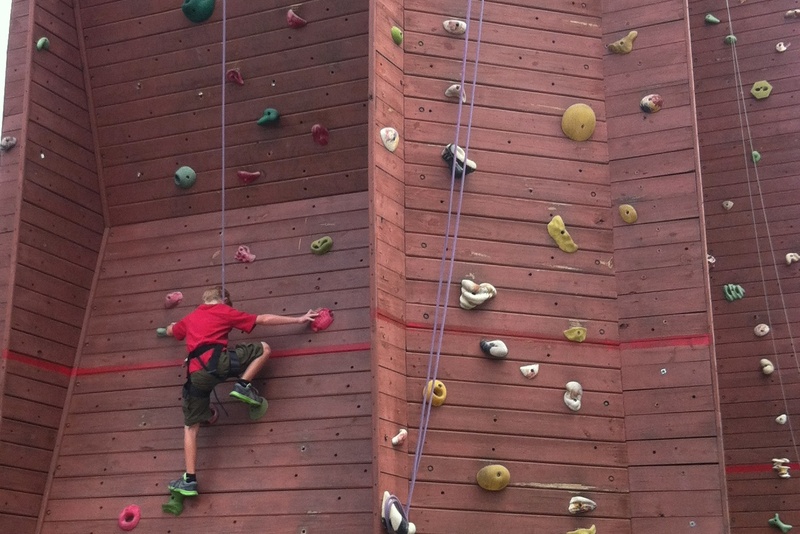 My son Isaac, age 9, enjoys climbing. Yesterday he did some climbing at the climbing tower. The tower is operated by Rock Dimensions, a climbing service in Boone. The second climb involved a couple of inverted wall sections, where there were angled overhangs. The final climb was the most difficult. It required him to reach out and around from a three foot overhang. As this is one of the most difficult climbs there, a small crowd gathered to cheer him on. The video below is about 4 minutes. After the July 20, 2012 visit to Mesa Verde and a surprising, nice find of the Dolores Brewery, Dolores, Colorado, we crossed the Colorado-Utah state line and traveled to the small town of Bluff, Utah. 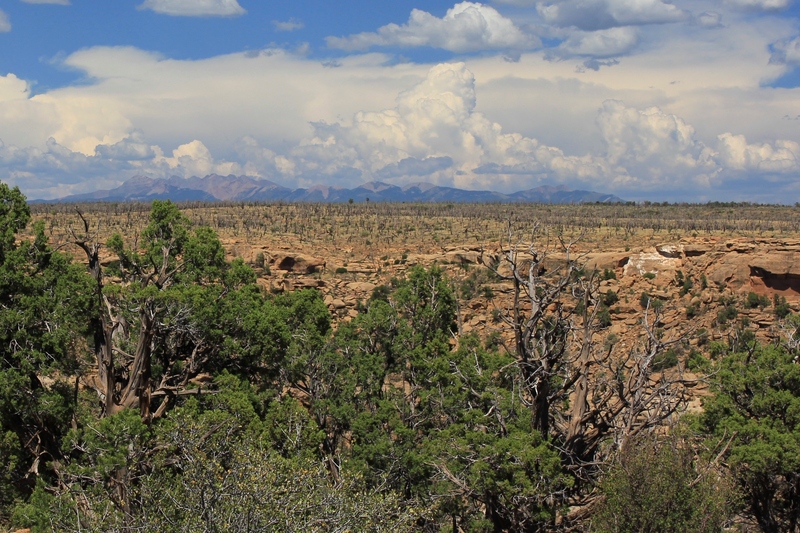 From here until the end of our ten-day trip across the Colorado Plateau, we would not see a four-lane road. This is remote country. 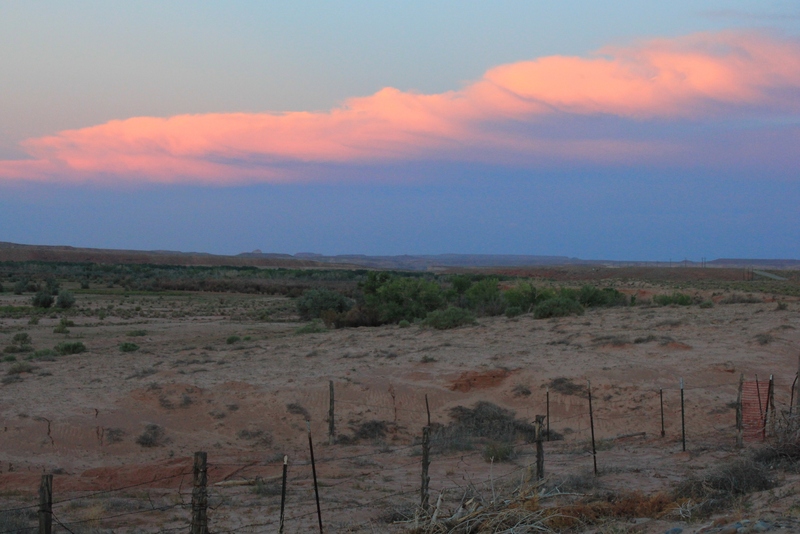 Our destination this evening, Bluff, is about the largest town in the far southeastern part of Utah. Bluff has about 200 residents. It did not help that we almost ran into a cow. Yes, a cow—in the middle of the desert. You see, this country is all open range, meaning there are no (or very few) fences. Cattle just roam wherever they want, including on the road. In the late civil twilight, approaching a cow that meanders halfway onto the road at 55 mph can freak you out. There are “cow signs”, similar to deer crossing signs common in the East, at periodic intervals on the road. These are not that great of help in avoiding a particular cow however. We arrived safely though in Bluff, and stopped at the Desert Rose Inn, a nice motel. Having dropped in elevation from Durango and Mesa Verde, it was definitely warmer in Bluff. You could still feel the heat at 9:30 PM, about 80F. Waking the next morning, I took some photos of the desert country. The quiet in the morning here was wonderful. I almost thought I could hear the bunny rabbit that greeted me in the morning behind the motel when I was taking pictures. 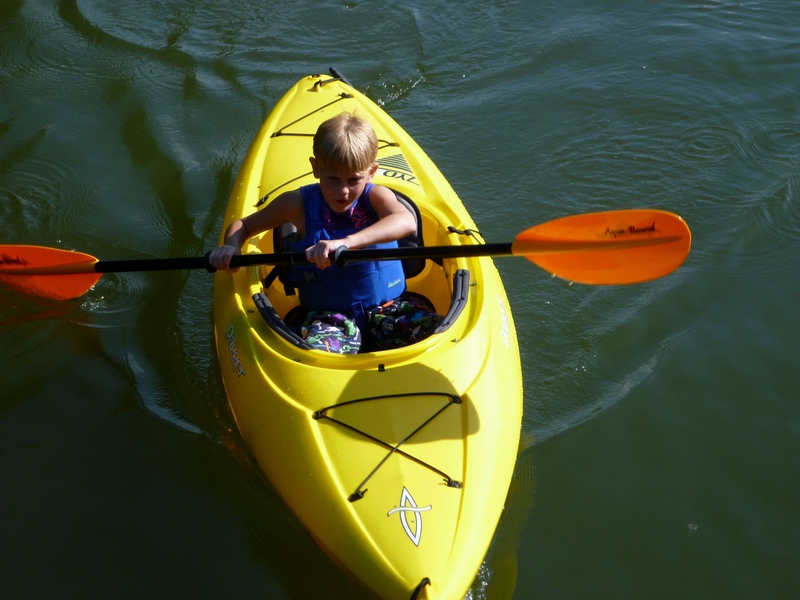 This was just a short interlude before our next adventure, an all-day rafting trip on the San Juan River. Located in far Southwestern Colorado, Mesa Verde is one of the largest and best preserved ancestral Puebloan ruins in the world. This was the first leg of our trip to the Southwestern United States in 2012. After so much planning and driving, we were excited and full of anticipation to finally be visiting our first national park on the itinerary. The park is located about one-half hour west of Durango, Colorado, where we stayed the previous night. Leaving Durango and heading to Mesa Verde, you travel across the foothills of the San Juan Mountains and down into the high desert. This was our first taste of the high desert on this trip; indeed, this was the first time ever that my children had been to a desert of any kind. The aridity; the dusty, sandy soil; the impressive rock formations; strange trees and plants—the conditions were all so different from back East. 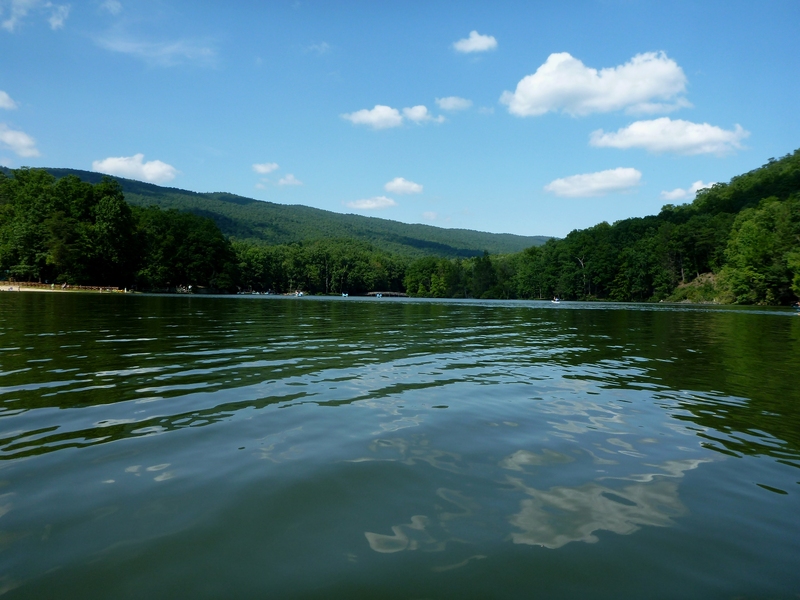 Above all, what set this place apart was the sheer immensity of the landscape. Having been to Mesa Verde as a child with my parents and brother, I was especially excited to be here now, again, finally able to share this place with my own family. 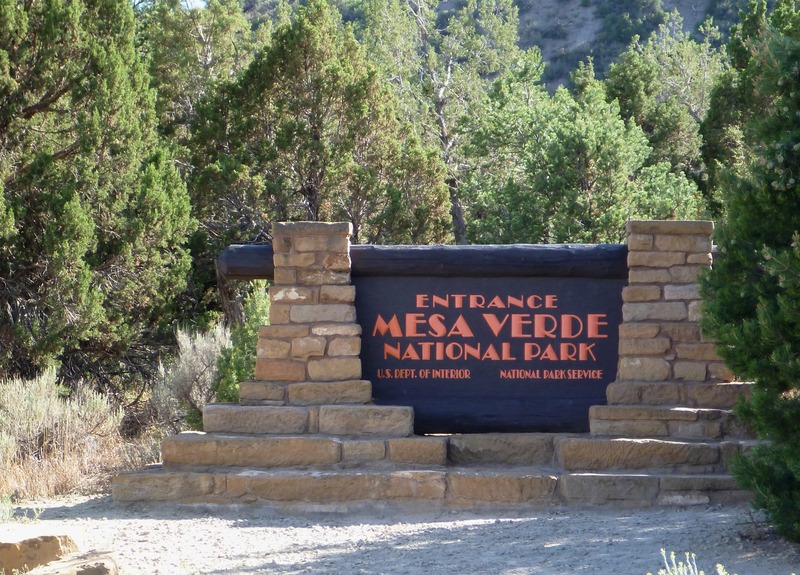 From the park entrance, you climb up onto the mesa, the flat-topped mountain. The two-lane road to the top twists and skirts the edge of the mesa, switchbacking and steadily climbing up onto the top. It’s a steep and scenic ascent, with some sections of the road wedged into the ramparts of the mesa, with signs prohibiting stopping due to the danger of rockfall. 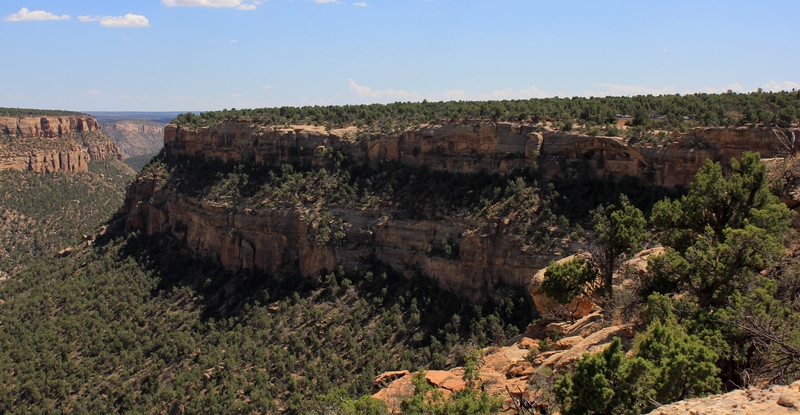 Atop the mesa are expansive views in all directions. To the north the San Juan Mountains rise up from the desert. Beyond the mesa to the south, the high semi-desert country is composed of hills and more mesas covered with small shrub like trees. I was surprised how green the landscape was; it was late July in the desert after all. The park visitor center is a circular shaped building with a deck looking out from the top of the mesa into the canyons below. 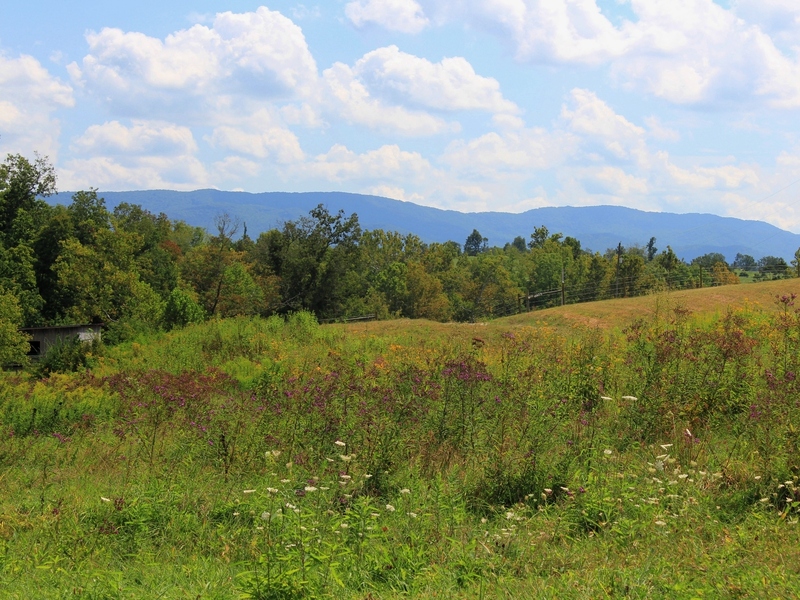 Past the visitor center, there is a single road that travels for about 15 miles to two loops in the southern section of the park. 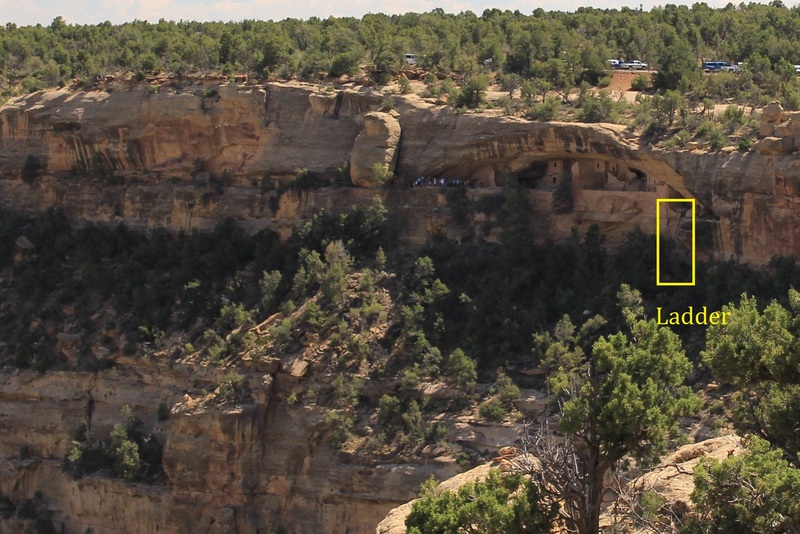 It is here, at the southern end, where the famous ancient cliff dwellings are located. Archeologists believe the dwellings were inhabited between 600 and 1300 A.D. 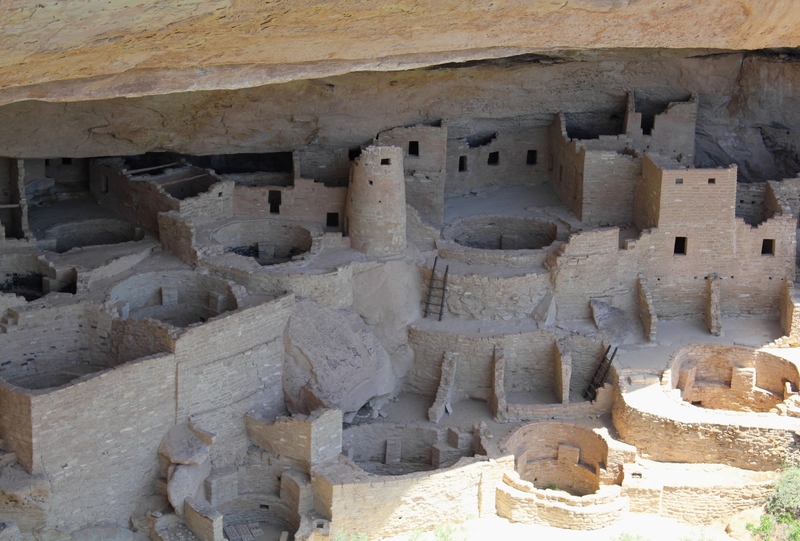 It is believed that at some point during this period the population at Mesa Verde may have exceeded 2000 people. 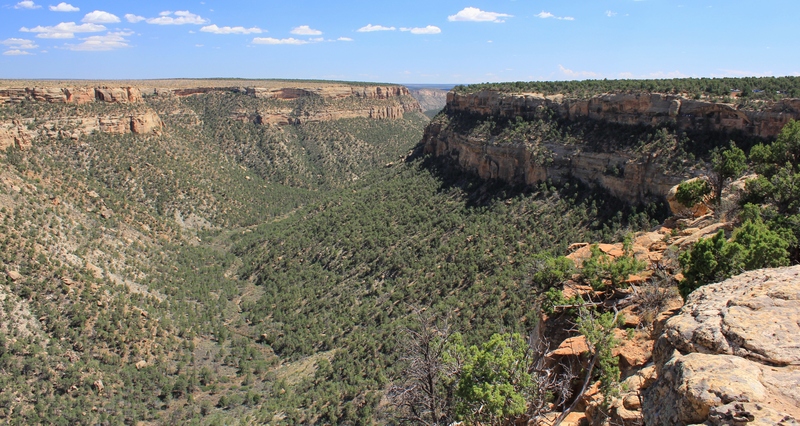 However, archeologists are confident that some time after 1300, perhaps around 1400, the entire population here abandoned Mesa Verde and the cliff dwellings, traveling south or southwest to join with other Native Americans. Why they left when they did remains a mystery today. The Puebloan people shifted from a hunter-gatherer people to a predominantly agricultural people, raising corn and beans and domesticating dogs and turkeys. They continued to hunt larger game, including deer. They were skillful at basket weaving and, later, at pottery. The dwellings remained undiscovered until the late 1890s, when some cowboys or prospectors came upon them by accident. 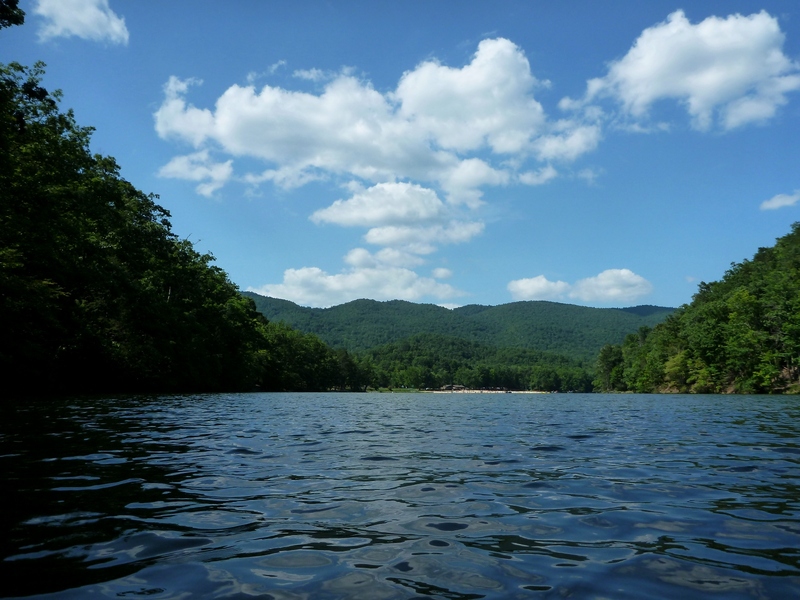 In 1906, President Theodore Roosevelt established the Park to preserve the works of mankind. 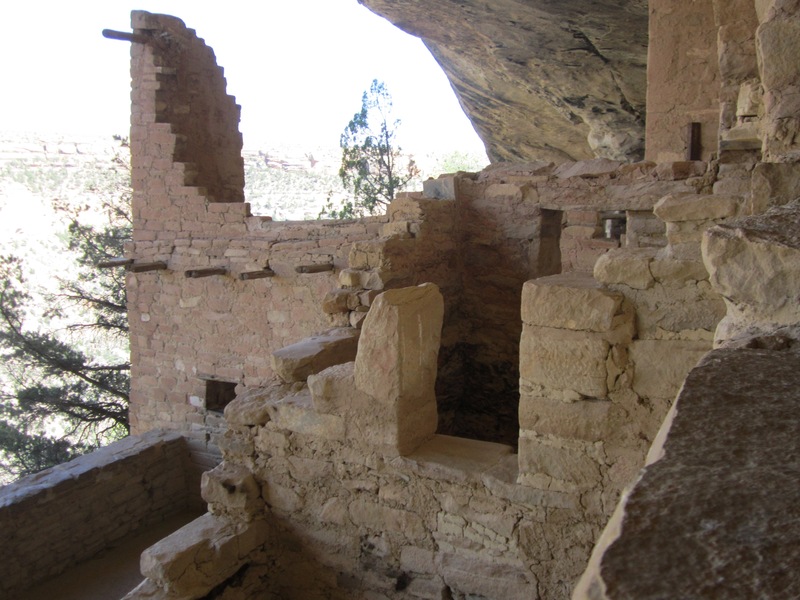 According to the National Park service, today there are 5000 known archeological sites in the park, although most visitors, like us, come to see one or more of the four famous cliff dwellings: Cliff Palace, Balcony House, Long House, and Spruce House. 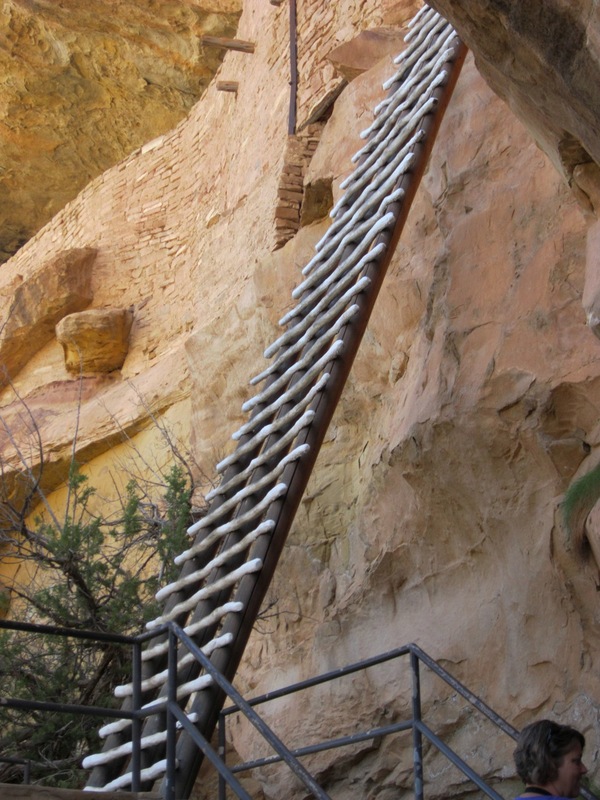 We first visited Cliff Palace, which is probably the most impressive of the cliff dwellings. We visited an overlook that provided some great views of the Cliff Palace. Cliff Palace has 150 rooms, including 15 Kivas, which are circular-shaped rooms that these Puebloan people used for special ceremonial and perhaps religious occasions. The Puebloan people lived here between 600 and 1400 A.D. Archeological records show they first lived on top of the mesa, eventually developing significant masonry skills and building stone living quarters. At some point, probably about 1100 A.D., they moved down into the cliff dwellings and built stone living areas there. It is theorized they moved because of increased security and temperature regulation in the cliff dwellings. 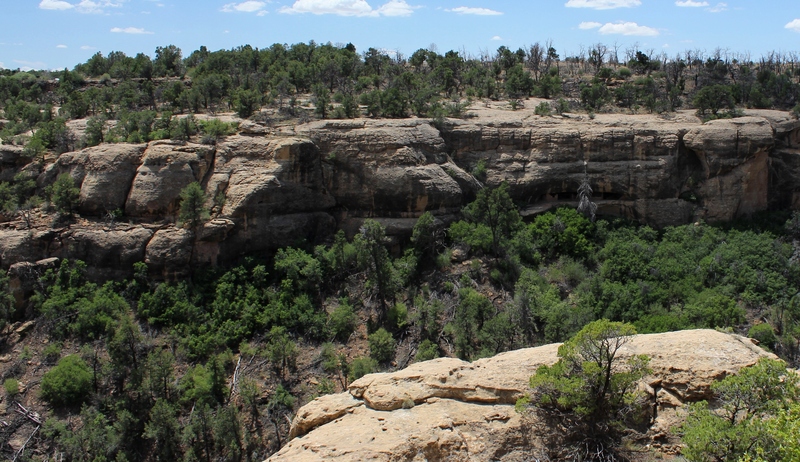 In the photo below, you can appreciate that the cliff dwellings are toward the top of the mesa, yet about 100 feet below the upper ridge. In the photo below, you can see the other side of the canyon viewed from Cliff Palace. Smaller cliff dwellings, perhaps granaries, can be seen on the other side of the canyon above the large boulder-outcropping in the foreground. During the busy summer tourist season, park visitors must obtain tickets at the visitor center to visit the cliff dwellings. Visitors must be accompanied at all times by Park Rangers on tours; individuals are not allowed to wander about the cliff dwellings by themselves. 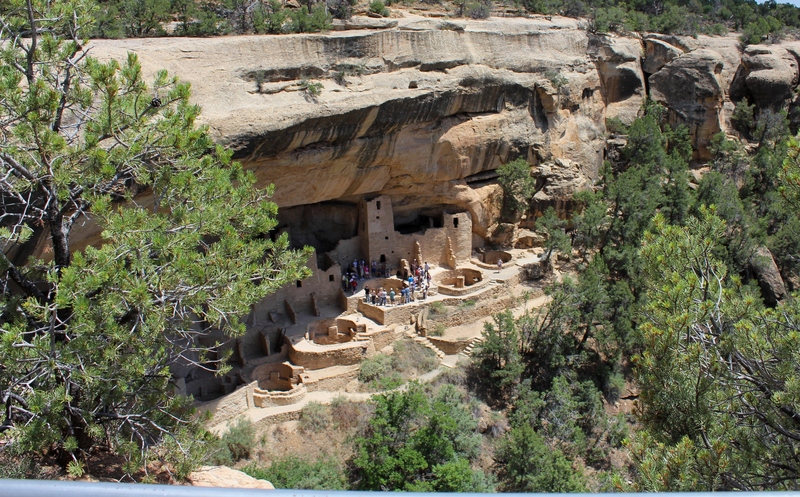 We allowed our boys to choose which cliff dwelling they wanted to visit, and they chose the Balcony House because it is supposed to be the most adventurous tour, with several climbing ladders. With 40 rooms, the Balcony House is smaller than the Cliff Palace, with 150 rooms. Balcony house is constructed into the sheer cliff on the opposite side of the mesa from Cliff Palace. Entry to Balcony House by park visitors requires climbing down a set of stairs to an area below the dwellings, then a climb up a series of steps and a very tall, nearly vertical ladder. The ladder is shown in the photos below. 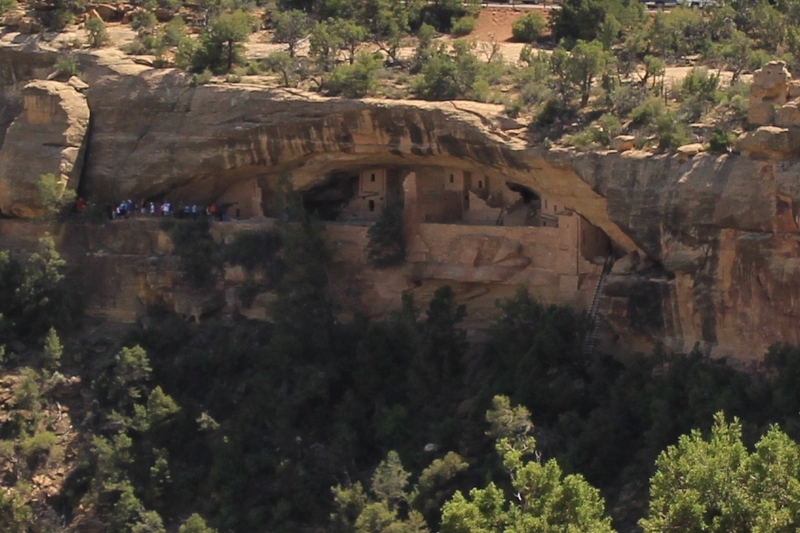 The Puebloan people would have accessed the Balcony House via small indented steps chiseled directly into the cliff face from the top of the mesa. The Balcony House was also built with some narrow passages. It is speculated that the whole Balcony House structure was designed with features like these as fortifications, which would assist in defending it from outside attacks. My daughter enjoyed our little hike, though her flushed cheeks show the dry heat had an effect on us. 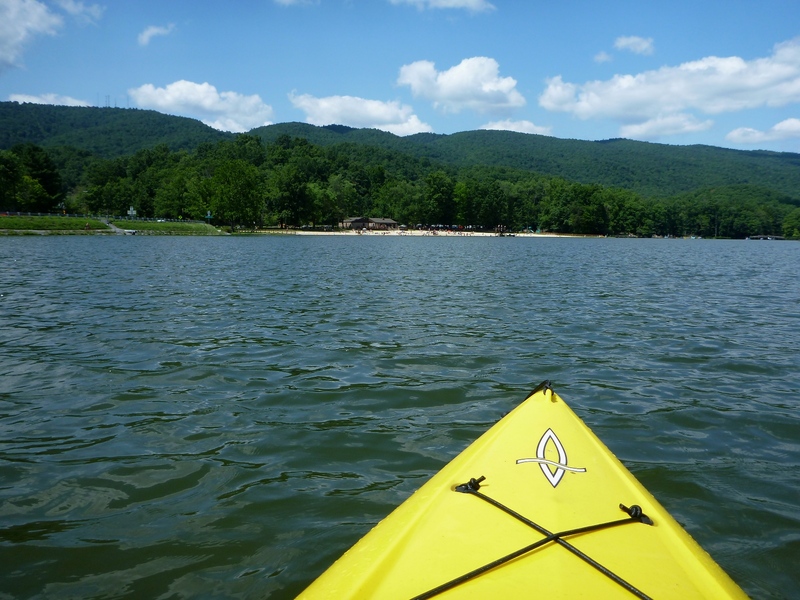 Nothing a couple of Nalgene bottles filled with ice-cold water couldn’t neutralize. This hike, unlike some others that we did later on this trip, did not require me to carry her. The interior of the cliff dwellings shows remarkable architecture and masonry, especially considering that these structures were designed and built about 1000 years ago. It is likely they were the paragon of architecture and construction in North America at this time. Some of these design elements are still used in modern adobe construction in the Southwest. 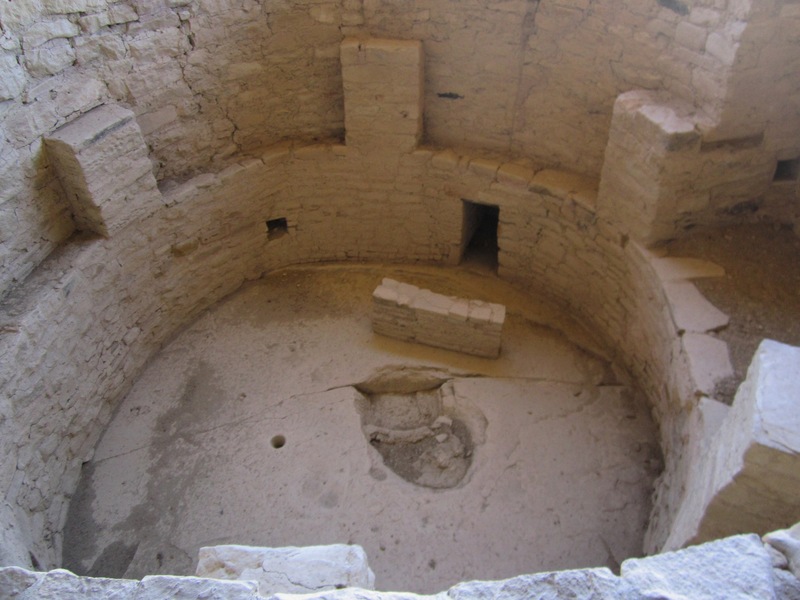 The kivas held a special place for the Puebloan people. Below is one of the better preserved kivas at Balcony House. The center of the kiva was used to build a fire, while the sides are believed to be benches. 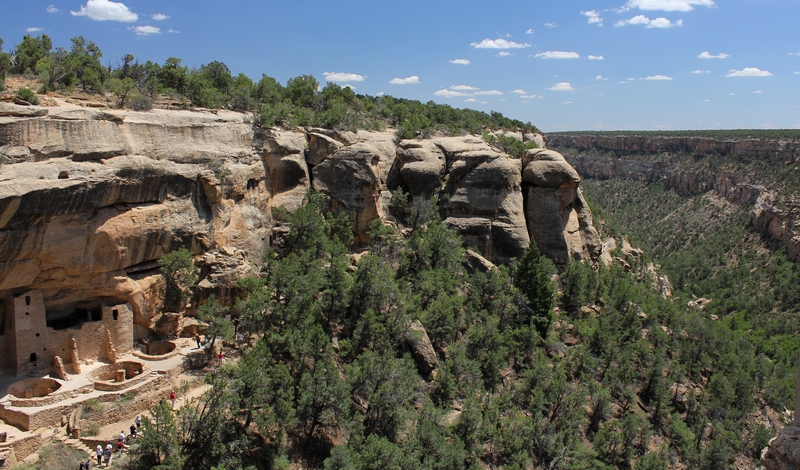 Because of Mesa Verde’s special historical significance, it is a UNESCO World Heritage site. By this designation, it is generally considered to be one of most import archeological and historical sites in the world. If you plan on visiting Mesa Verde, my suggestion would be to give yourself at least one whole day. The trip to the visitor center and the cliff dwellings will consume the better part of the day. You could easily spend more than a day here if you have a special interest in the archeology of the Anasazi or Puebloan people. 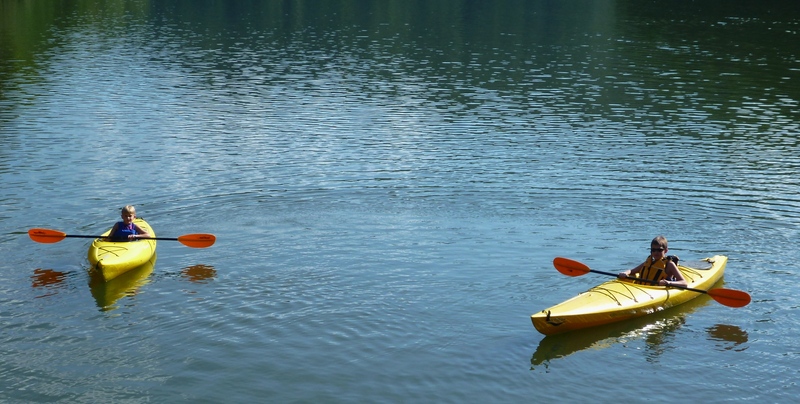 Fitting in multiple tours within a day can be done; however, it would be almost impossible to visit all four of the major sites in a single day. What we left with—at least what I hope my children left with, and what I think is a major purpose of the park to inculcate—is not so much a memorization of specific details of the visit, but an overall impression of these impressive structures and their reflection of a relatively advanced civilization of Native Americans that existed long ago, long before Europeans set foot in this continent. That, and the strange, unsolved mystery of why these people apparently left this amazing place.